Mexican insurance from MexicanInsuranceStore, buy and get away! If you need a break in the midst of the rushed pace of your Southern California community, the border beckons with many peaceful communities to visit. You don’t have to go far to get away from the traffic and smog. Just be sure that you have Mexican insurance from MexicanInsuranceStore before you cross the border. Your Mexico car insurance at MexicanInsuranceStore.com is your proof of financial responsibility if you are involved in an auto accident as you drive. Lack of coverage is a serious serious problem if you get into a wreck. Whether you take a weekend or a week, an hour of driving can place you in a beautiful location as you slow down to enjoy the sites of Ensenada. From Tijuana, you will only need to drive one hour to reach the seaside community. Get your reservations at a waterside resort handled before you leave so that you can keep those stress levels low when you arrive. Your Mexican insurance from MexicanInsuranceStore can also be handled before you leave. Get a quote for your Mexico car insurance at MexicanInsuranceStore.com in just a couple of minutes. You can pay and print quickly from your own home. Don’t forget to buy Mexican insurance from MexicanInsuranceStore! 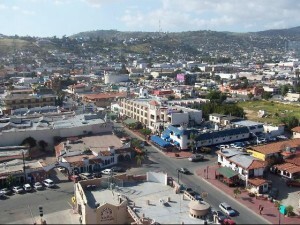 If you don’t want to head that far south, consider Rosarito, another seaside community in Baja. You can be there within 20 minutes of crossing the border, ready for surfing, dining or horseback riding based on your interests. Enjoy a weekend of shopping at local furniture and clothing shops. You’ll be able to indulge in delicious Mexican fare with a seafood emphasis. Traffic at the border can be hectic, an important spot for being protected with the right Mexico car insurance at MexicanInsuranceStore.com. Your short-term policy is affordable and easy, but if you decide to stay beyond the term, you can access your Mexican insurance from MexicanInsuranceStore online to make a supplemental purchase. Once you fall in love with Baja Norte, you may decide to return many times more for regular opportunities to leave the stress behind. Consider a full-year policy of Mexico car insurance at MexicanInsuranceStore.com so that you don’t have to bother with buying and printing every time you want to drop everything and just drive. Mexican insurance from MexicanInsuranceStore gives you peace of mind!